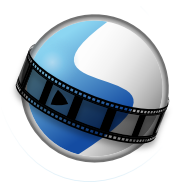 OpenShot Video Editor is an award-winning, open-source video editor, available on Linux, Mac, and Windows. OpenShot can create stunning videos, films, and animations with an easy-to-use interface and rich set of features. Learning to use OpenShot is easy, and with this guide, you will be a master in no time at all! © Copyright 2008-2018 OpenShot Studios, LLC - www.openshot.org.